This brave and vibrant track is set to drive global hard dance crowds insane by inspiring lyrics, tempo swings, an uplifting modulation, and a three-part dynamic build accompanied by church organ. The March of Attitude sits on the softer side of the hard dance spectrum but carries massive inspirational energy and contains BPMstr’s beautiful acoustic sounds. BPMstr has played and performed since the age of seven, but his exciting dance music production career driven by distinct melodies, loud rhythms and lots of beautiful noise didn’t begin until a few years later. This single is his first official release from TuneDome Records and is ready to storm your dance floor. This is an essential track for your 2013 collection and will make some amazing nose inside your speakers! 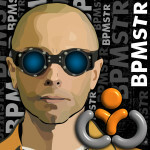 And watch for over 10 more hard dance releases by BPMstr before the end of this year!